Coaxial engine mount kit 40 - 40mm engine mounts with 16-19mm firewall mount spacing in a coaxial configuration. These engine mounts are precision machined from high-grade engineering composite plastics for maximum strength and natural vibration absorbing properties. 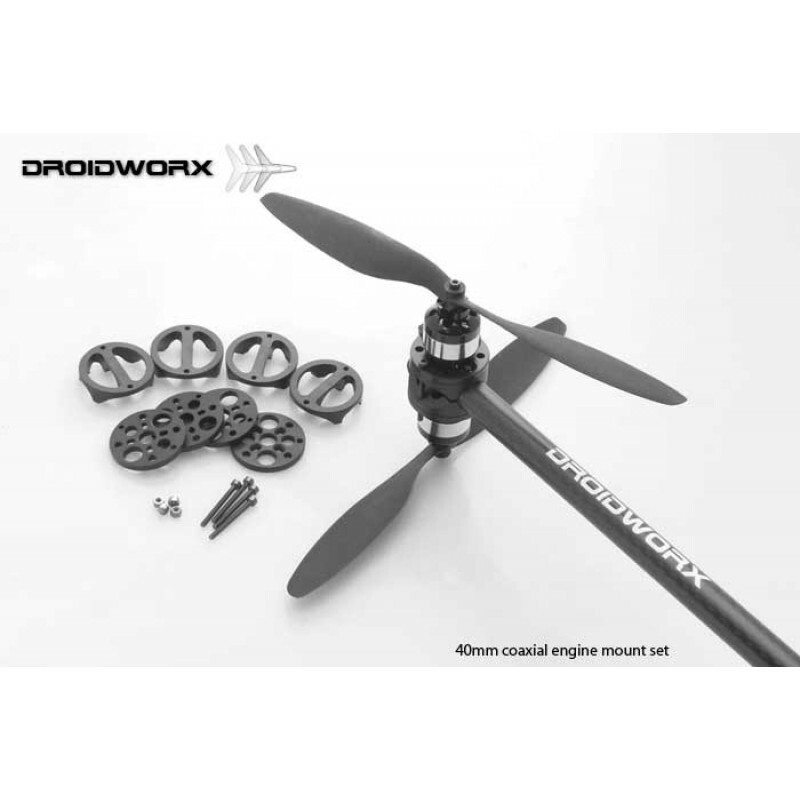 Coaxial engine mounts can be fitted to all Droidworx AD-series airframes. Total weight per set: 40 grams.